Turkish Maritime Administration and Türk Loydu which is assigned as “Notified Body” with an identity number of 1785 by the European Commission according to the Directive of Recreational Crafts No: 94/25/EC, signed an “Assignment Protocol” at Swiss Hotel. Turkish Minister of Transport and Communication Mr. Binali YILDIRIM, “Turk Loydu Vakfı” board chairman Assoc. Prof. Dr. Mustafa İNSEL, related bureaucrats, and some sectoral representatives attended to the ceremony. The first CE certificate which has been issued by TÜRK LOYDU, was given to “Munganga” American Flag motoryacht, which had been built by Ses Yachts. 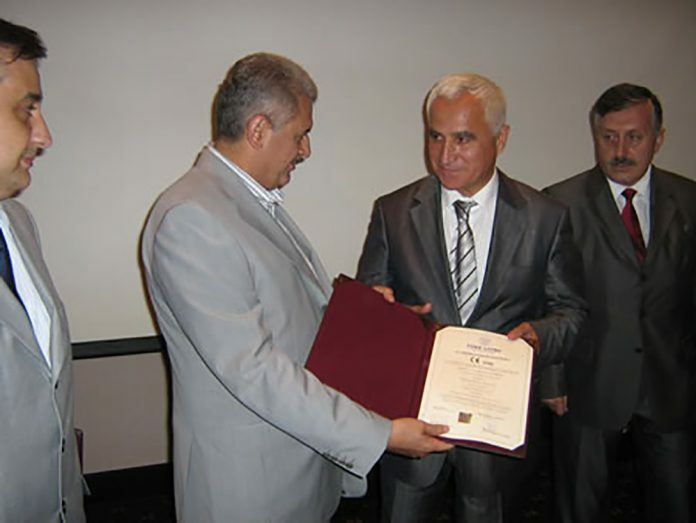 Mr. Sefer YILDIRIM, whom is the Chairman of the Board of Ses Yachts, has got the certificate from Turkish Minister of Transport and Communication Mr. Binali YILDIRIM.